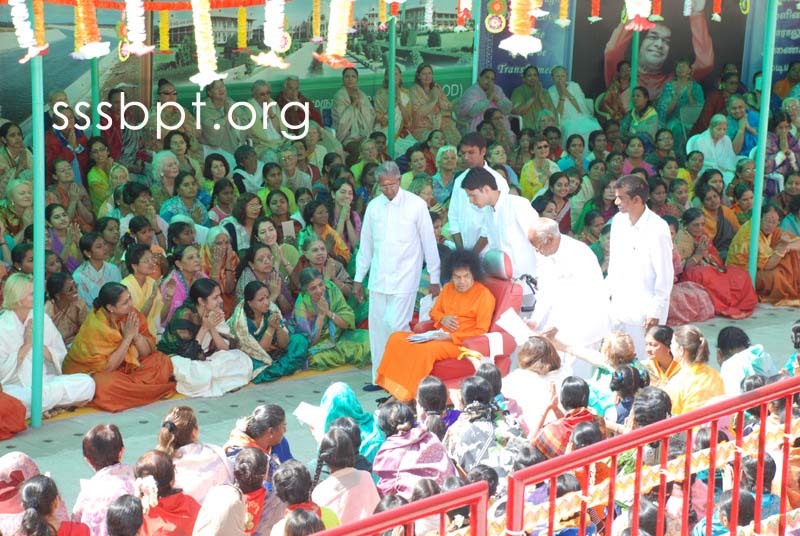 The dawn of 30th April witnessed devotees pouring in thousands filling the darshan ground spilling over to the grounds outside Sai Shruthi. 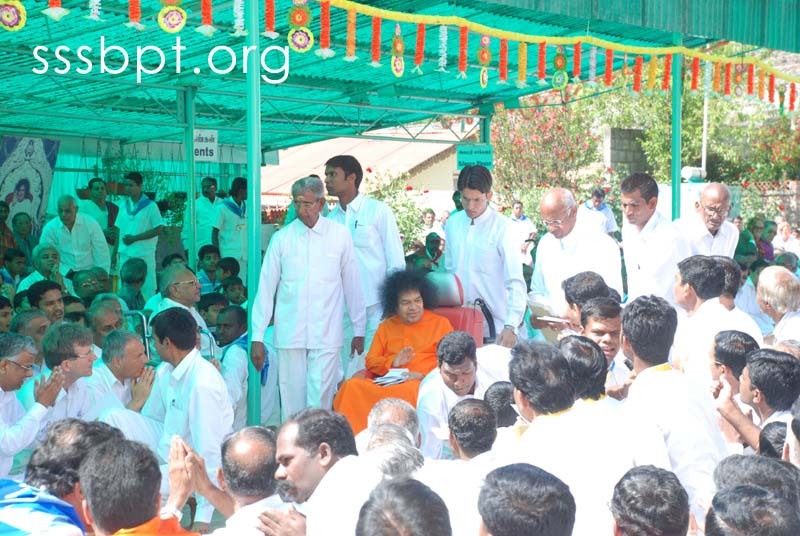 Bhajans began at 9.30 a.m. and Bhagawan arrived soon afterwards, to move around the darshan grounds and both the slopes and even reach out to those outside the compound. After an hour long bhajan Swami received flowers & blessed the prasad. 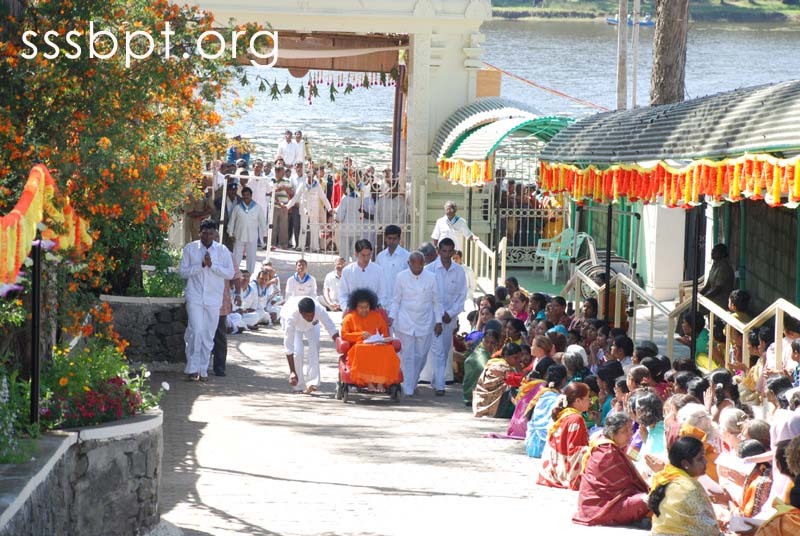 He was offered Aarathi at 10.30 a.m. 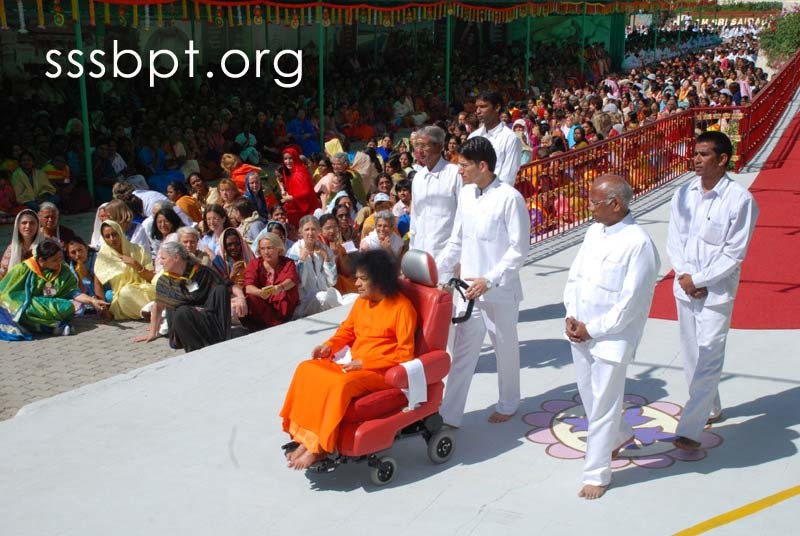 The evening bhajans started around 5.20 p.m. Bhagawan went down the aisle and received letters and gave close darshan to all assembled. He received flowers and Aarathi at 5.40 p.m. 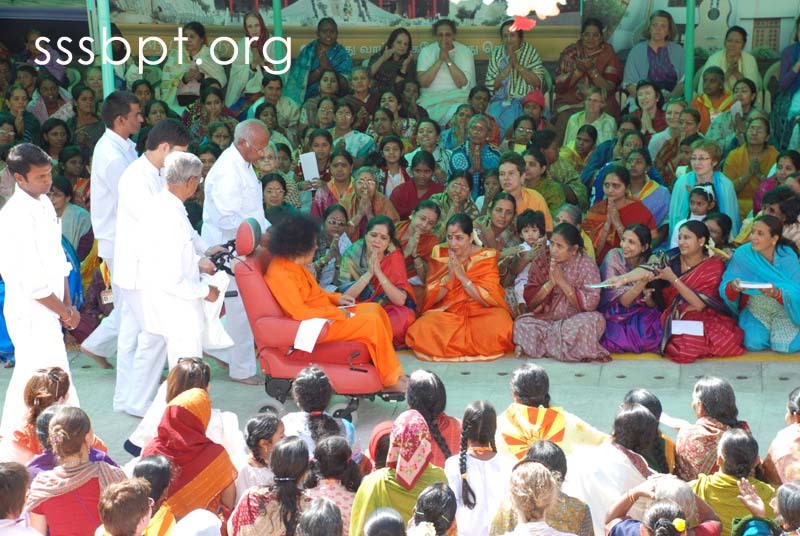 He blessed everyone repeatedly by raising His benedictory Abhayahasthas.